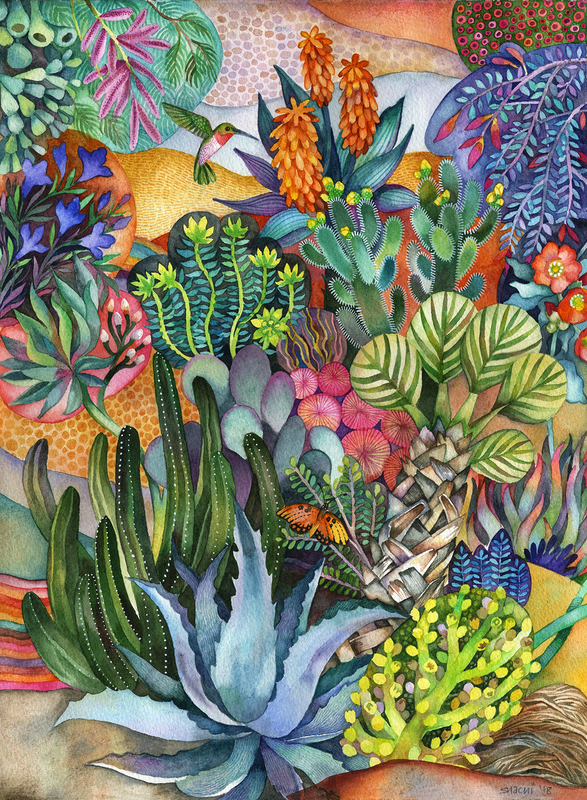 Desert Beauty by Shachi Kale MESA, Arizona – Feb. 6, 2019 – Arizona Citizens for the Arts selected Mesa Community College student Shachi Kale (Chandler) as the artist for the 2019 Governor’s Arts Awards. Her work, Desert Beauty, has been chosen as the cover art for their commemorative program and will be featured on this year’s formal invitations and signage. Kale has been invited to attend both the nominee reception, which will take place February 8 at Park Central, and the annual Governor’s Arts Awards gala on March 7. She will be compensated $100 for rights and reproductions. Kale said she is excited to be selected and credits MCC for enriching her art skills. Kale said that MCC instructors have been very influential in her career. Kale said that the beauty of the Arizona desert inspired the piece of artwork that she submitted. But Kale wasn’t always a fan of the desert landscape. For Kale, MCC has provided more than art instruction.